Oops, you already in my blogroll. LOL! 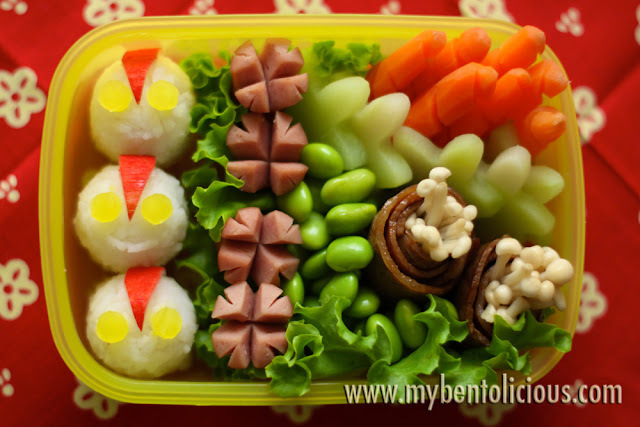 I love every details on your bento, it's very inspiring ...TFS great work!! @Fairy Footprints : thanks a lot to visit and leave your comment on my blog Heidi! ha ha ha, i was also planning to make these ultraman rice balls. Another cute bento!